“It’s time for Big Pharma to pay for what they’ve done,” New York Mayor Bill de Blasio announced Tuesday after filing a lawsuit against the manufacturers and distributers of opioid prescriptions. 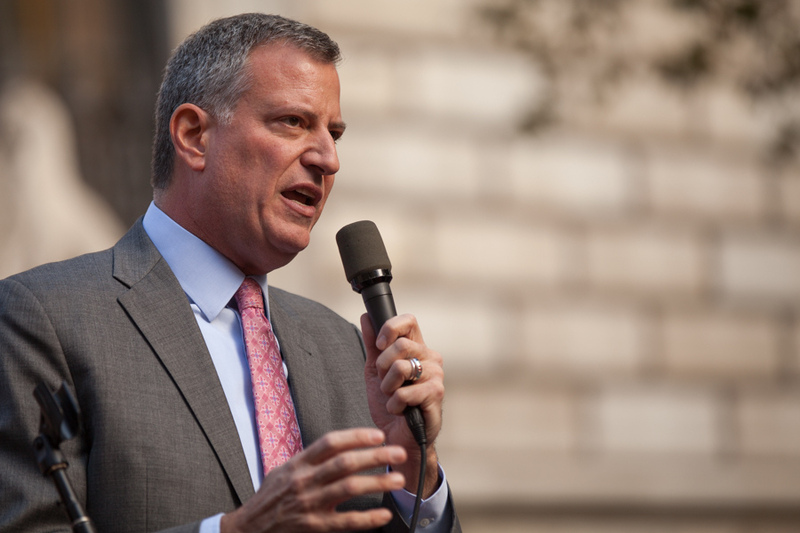 De Blasio holds similar sentiments toward Big Pharma, they need to be held responsible for the hundreds of millions of dollars spent in expenditures directly related to the epidemic that’s caused heartbreak throughout the United States. Mr. de Blasio is known for his strong opposition against corporate giants who he blames for problems that impact his city and further. Earlier this month he announced the city was suing major oil companies to compensate for the damages the city has had to cover in response to climate change. It seems to be his favorite way of getting attention to his causes on a national level, bringing consciousness to two of today’s biggest threats to our future. “It is a national tragedy,” Mr. de Blasio said of addiction to opioids. “It needs a national solution.” He spoke at a news conference at a community center in the Bronx with a mother who’s son died from an overdose of opioids, more city officials who are burdened with defending it’s citizens from the overwhelming crisis. The manufacturers named are Perdue Pharma, Johnson & Johnson, Endo, Janssen, Cephalon, Teva, Allergan, Watson and distributors McKesson, Amerisource Bergen, and Cardinal Health. Perdue Pharma’s spokesperson John Puskar said the company was “deeply troubled by the prescription and illicit opioid abuse crisis, and are dedicated to being apart of the solution,” adding that they “vigorously” denied the allegations. The lawsuit alleges that deceptive marketing caused the opioid crisis from drugmakers, and its distributors bringing large amount of prescription painkillers into the New York market and markets all over the country. It in turn caused the city to spend millions on substance abuse treatment programs, emergency medical services and hospital services and law enforcement. The total drug overdose deaths for 2017 have not come in yet, but Mayor de Blasio said that there were more deaths to New Yorker city dwellers from opioid overdose, than homicide and car accident deaths combined. In New York State alone, over a dozen counties filed suit last year that were represented by the law firm Simmons Hanly Conroy, based in Alton, Ill. They will be representing New York City in its suit as well. New York joins the likes of Chicago, who filed their suit in 2014. Chicago city lawyers have compiled 10 million pages of documents and hundreds of interviews. Their case is ongoing.